The Cedarville University Student Government Association’s (SGA) philanthropy committee raised $10,002 for Makarios, a nonprofit school in the Dominican Republic, during SGA’s week of awareness November 3-7. Makarios teaches students in pre-K through sixth grade in impoverished villages. “The school reaches out to help the students break the cycle of poverty through high-quality classroom instruction,” said Carissa Drum, director of the SGA philanthropy committee. 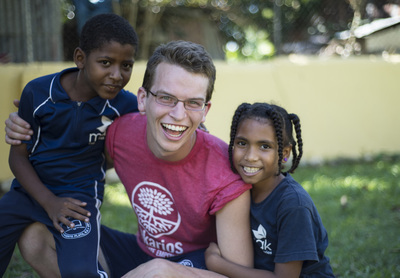 Weinstein, Mark D., "Student’s Philanthropy Impacts Dominican Republic" (2014). News Releases. 102.